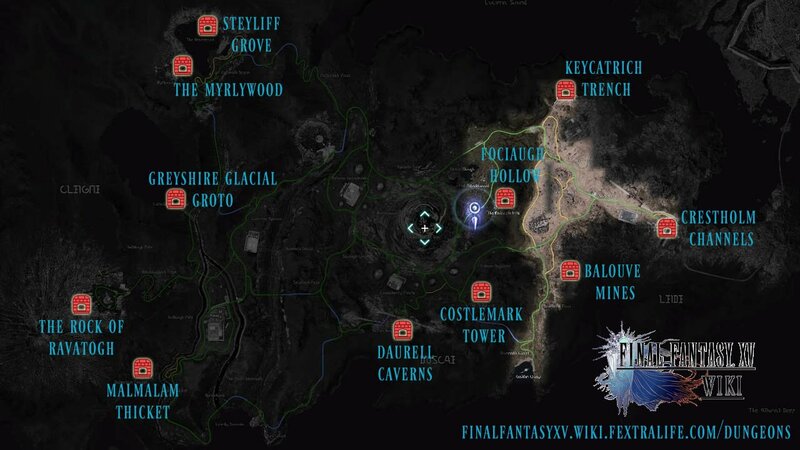 Dungeons in Final Fantasy XV are covered here. Dungeons are separate locations accessed from the game's overworld where the party can enter, usually to clear out Enemies and 1 or more Bosses. They offer lucrative opportunities to earn experience and valuable Weapons, Items and materials for upgrades. As you explore the world you will encounter them marked with a red icon and can enter them to navigate the corridors defeating foes along the way up to the boss. 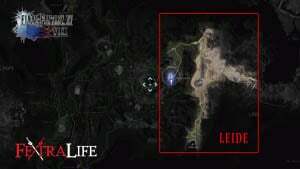 There is a Secret Dungeon that you can reach once you have the Regalia TYPE-F. Take off from Verinas Mart outpost in Ravatogh and head towards the yellow marked landing strip on your map to the north. Stick the landing and you will find some tough foes here. Past them is a staircase followed by a jump. 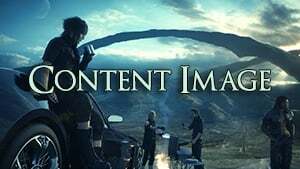 It will have to accessed with Noctis alone and is a jumping puzzle. Dungeons may hide within them Royal Tombs, where you can obtain Royal Arms.